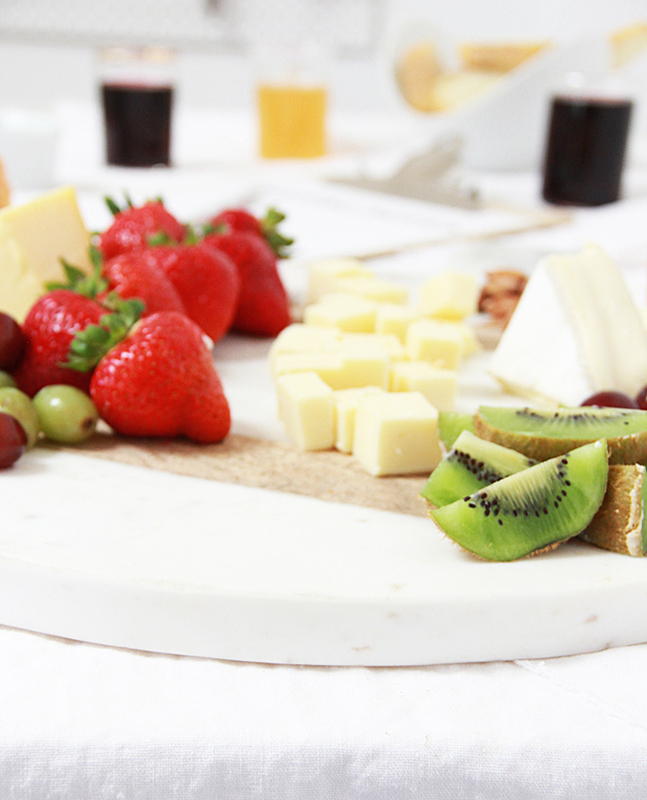 Start with mild cheeses and light-bodied wines and gradually move toward bold. 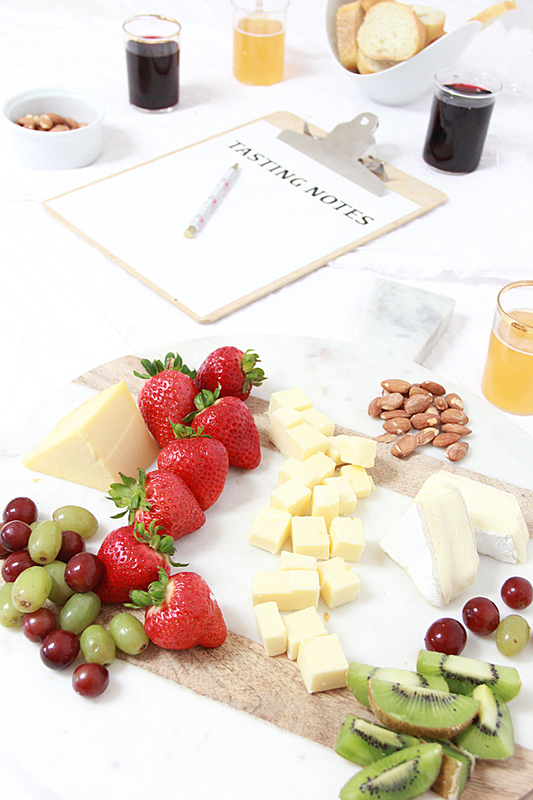 If you have a non-wine lover in the group, beer goes great with a variety of Cheddars and other cheeses. 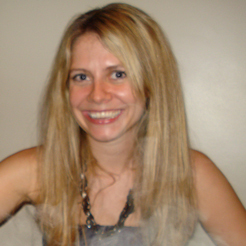 When I shop for the cheeses and wine, I always ask for help; despite having thrown a lot of tastings, I like to try new cheeses and get the best advice from a cheesemonger or wine professional. Some examples of delicious pairings are dry white wines with a mild cheese like Camembert Madame Clement; a medium wine with a soft cheese like L’Empereur; and a full-bodied red (my personal favourite type of wine) with Réserve la Pérade. A typical tasting is three or four courses, the fourth being the dessert portion. Provide three cheese varieties for each course, providing approximately 200 g to 225 g (7 oz to 8 oz) of cheese for each person. Plan on a half bottle of wine per person for the first three services and a quarter bottle per person for the last service (liqueur-like white wine, Burgundy, or Port). Also, don’t forget to include the food accompaniments—bread, crackers, fruit, nuts, pate, etc.! We eat with our eyes first! 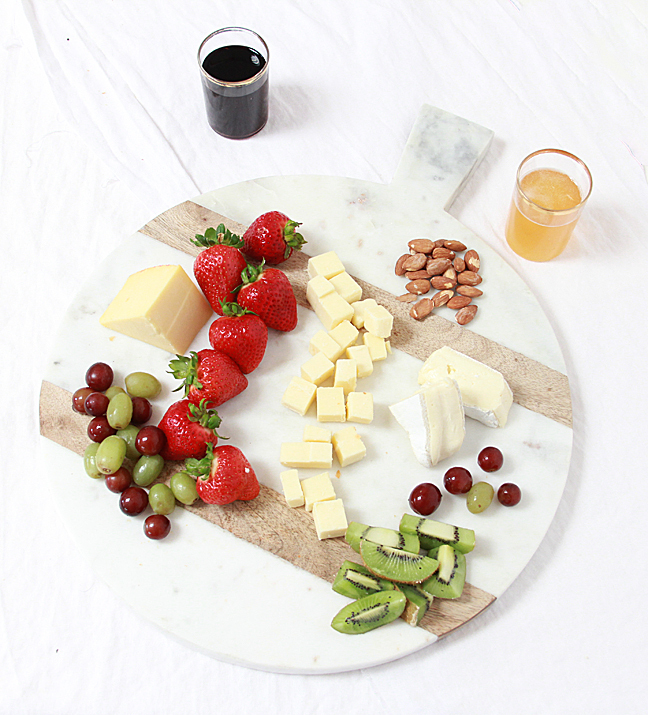 Creating a visually appealing cheese platter is important no matter how much we love cheese and will eat all the cheese we have in front of us (or is that just me?). Bread and crackers are a must for your platter, but since the colors are plain and tend to match the cheese, find color elsewhere and make the platter pop. Fruit is a wonderful palate cleanser between servings. Think color when choosing your fruit—strawberries, kiwis, and red & green grapes are some good ideas. 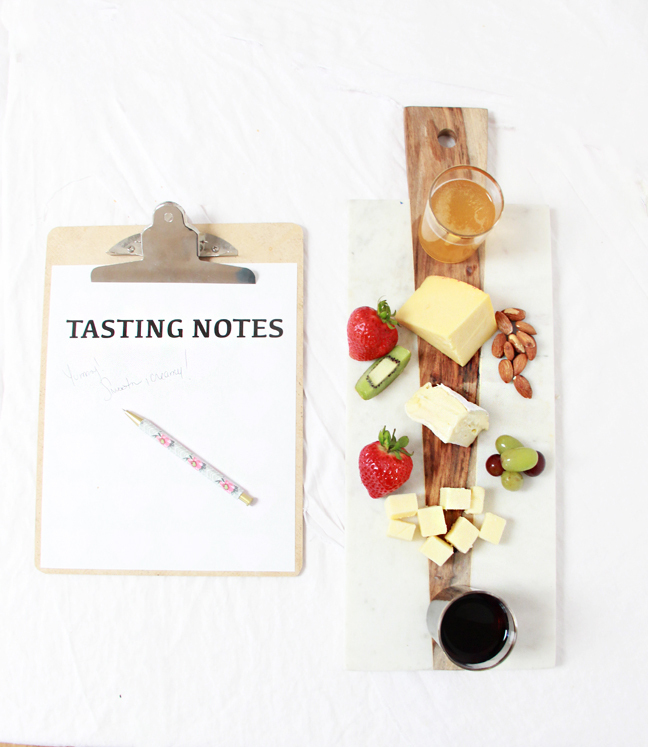 I like to use the My Notebook app from Our Cheeses or add a tasting notepad or notebook for each guest so we can write our thoughts on each pairing. 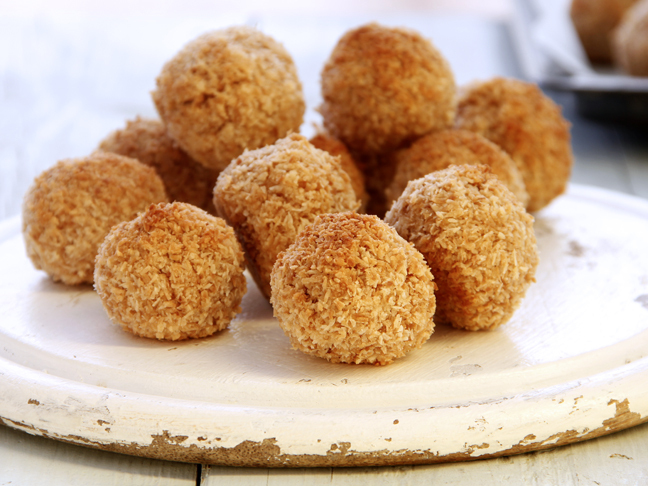 It is great to use the tasting opinions and provide your friends’ favourites for them to enjoy at your next party. Also, as a guest, steal a look at the host’s favourite cheese choices—wrapping up some cheese and wine make a perfect thank you gift.